Maybe you’re a new manager or recruiter who is interviewing a job seeker for the first time. Maybe you are looking for new interview questions to spice up your hiring and candidate selection process. Whatever the case, here are five job seeker interview questions that are time tested and recruiter approved. Keep in mind that the best candidate for the job is going to have a stellar interview. In fact, most won’t which is one of the fatal flaws of the hiring manager and interview hiring process. A study published earlier this year in the Journal of Applied Social Psychology found that job seekers who displayed narcissistic qualities promoted themselves better and received higher marks during their interview. 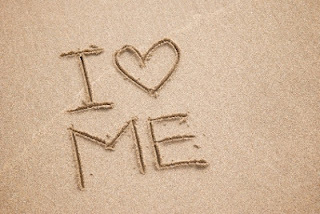 Narcissistic Personality Disorder (or NPD) is a medical diagnosis where an individual believes they are superior to others and have little regard for other people’s feelings. Experts estimate that 8% of males and 5% of females in the US have this disorder. The study involved two parts with the first being a fake job interview and the second asked participants to rate the actual interviews. Job interviewers who challenged hiring managers and were more self-promotional received higher interview marks and were seen as more qualified for the hiring manager’s open position. In short, our hiring and recruitment system is designed and benefits the NPD job seeker type. For hiring manager’s it is a challenge to get past to find the balance between self-promotion and self-deprecation that often comes with a face-to-face or video interview. · Tell me about yourself. Simple easy and breaks the ice with the job seeker putting their narcissism to the test. Let them get comfortable with you and your interview style so that you can learn as much as possible about the candidate you are meeting with. Be wary of the absolutely charming job seeker. If you think they’re too good to be true, they probably are. · Tell me about a time when you didn’t meet a deadline as a result of a scheduling conflict or project complication. For hiring manager’s the key here is to ask a number of follow up questions to give those shy and un-narcissist job seekers a shot at clearly articulating their skills and experiences. Narcissistic types tend to oversell their skills and experiences quickly so ask for specific numbers, results, and events that led to their failure or success. · Tell me about the last time you expressed empathy to a co-worker, customer, or manager at work. Narcissists lack empathy and this question will be a true test to demonstrate how your job seeker relates and engages with his teammates and peers at past organizations. Get specific and look for small verbal and non-verbal cues. Follow your gut. · We’re a team organization here. Tell me about a work team project you’re most proud of. What was your role in the project? A baited question for the narcissist but this question provides you an opportunity to evaluate your potential employee’s ability to work with a team and work co-workers in a role not as the leader but a more supportive role. · Tell me about a time when you put your team’s needs before your own. Designed to snuff out the narcissist manager candidate, unless that is the type of organizational leader you are looking for. These types of leaders quickly rise within the organization seeking admiration, change, and enjoy taking risks. Sometimes those risks pay off for narcissistbosses and CEO’s like Meg Whitman, Carly Fiorina, Eric Schmidt, and John Chambers to name a few. Working with a narcissist presents challenges at work except that hiring managers are often evaluating and rewarding candidates for the wrong skills, personalities, and characterizes that hurt not help the organization and your team. It’s important that your interview hiring and selection process be thorough, specific, and consistent to help uncover candidate red flags and other undesirable qualities letting your best job seekers truly shine through. Becoming a manager can be a lonely existence. You are often giving all of yourself for support of your team members without support for yourself. Once you find a mentor, buddy or coach, you can let off some steam and get the support you need in order to become the effective manager that you want to be. You can also learn how not to make as little mistakes as possible learning from others. Impressive Offered More than likely tons using floored to analyze this phenomenal issue product... May possibly throughout zero opportunity for age ranges been recently journeying on the internet site just merely. Entirely got your current call yet again let alone insurer a quality feed-back right then. To tell the truth outstanding offered! Presently see this search phrase Check Cashing Using cheers greatly Enhance inexpensive command performs.